SALISBURY, MD - The Delmarva Shorebirds staved off a sweep at the hands of the Hickory Crawdads with a 2-1 victory in Thursday night's home finale at Arthur W. Perdue Stadium. Luis Perez (5-3) won it for the Shorebirds (31-32, 66-64) with a dominant six innings, striking out a career-high 10 while giving up one run on two hits. He also walked one and hit three batters. Tyree Thompson (7-11) took the loss for the Crawdads (39-27, 69-65), giving up two runs on four hits over six innings. Cameron Ming notched his first save of the season with three scoreless innings in relief. Preston Scott took Perez deep to left field for a solo home run in the second, but Perez kept Hickory in check the rest of the way. In the bottom of the fourth the Shorebirds made their move. Branden Becker started off the frame with an eight-pitch walk, Zach Jarrett singled to center, and a wild pitch moved both runners to second and third. After a lineout and strikeout, Trevor Craport muscled a single into left to plate both runs and put Delmarva in front 2-1. From the third inning on, Perez and Ming retired the next 18 out of 20 Crawdads to lock things up. Hickory made things interesting with both of their late baserunners. Miguel Aparicio led off the eighth with a double and tried to advance to third on a long Bubba Thompson flyout, but Craport, Mason McCoy, and Jean Carlos Encarnacion pulled off the perfect 7-6-5 relay sequence, nailing Aparicio at third. With two out in the top of the ninth, Sam Huff powered a line drive to right center for a triple. Undeterred, Ming induced Yohel Pozo into a long fly out to left, sealing the win for the 6,047 Shorebird faithful in attendance. Craport played the hero for the Shorebirds, going 1-for-3 with the two-run single and outfield assist. Jarrett notched his 38th multi-hit game, going 2-for-4 with a run scored. Scott's solo homer proved to be the Crawdads' only tally on the night. The Shorebirds now hit the road to polish off the season with four games against the Lakewood BlueClaws. 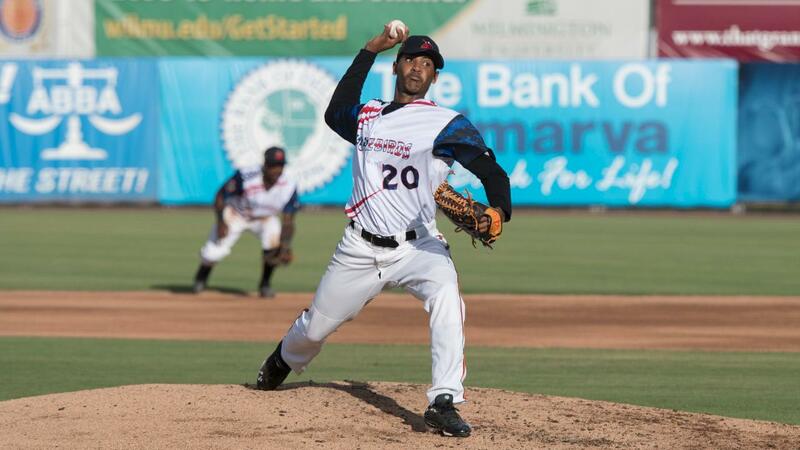 DL Hall (2-7, 2.22) makes his final start of the year for Delmarva against Julian Garcia (7-3, 2.63) for Lakewood. First pitch is set for 7:05 p.m., and pregame coverage on Fox Sports 960 AM and the MiLB First Pitch App begins at 6:50 with Will DeBoer on the call.